The number of sleep disorder patients is on the increase. According to the National Health Insurance Service, the number of patients treated for sleep disorders increased from 228,000 in 2008 to 357,000 in 2012, by an annual average of 11.9 percent each year. A good night’s sleep has gained so much interest that in some department stores, “pillow fitters” choose the right pillow for each customer. Koreans are also familiar with the saying, “Good sleep is medicine.” For those who do not recover from their physical and mental stress due to the lack of a good night’s sleep, today’s column explains how oriental medicine can treat sleep disorders. In oriental medicine, the liver is directly related to stress. When stressed, qi becomes congested, and the liver bears the burden.”Hwa,” which means fire, then accumulates in the liver that causes restlessness in body and mind that prevents the patient from falling asleep. It is common among short-tempered people. At times, they feel their heart palpitate, or pressure on their heart. They find it difficult control emotions, and easy to lose their temper. 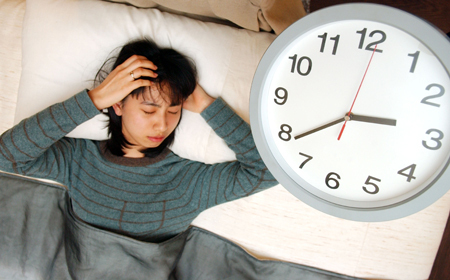 Such stress-induced insomnia is probably the most commonly observed type of sleep disorder. 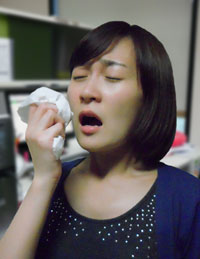 To alleviate it, oriental medicine relives the congested qi in the liver to reduce the heat and bring peace of mind. The heart manages the qi in all other organs, and is in charge of our mental activities. It is said to play the role of a king in oriental medicine. Governing the mind is one of the heart’s roles. When heart lacks blood, we feel restless. The spleen on the other hand, is in charge of emotions such as anxiety and apprehension. If you are overly anxious and constantly worried, the qi and blood in heart and spleen become damaged, resulting in restless sleep and excessive dreaming without falling into deep sleep. Apart from the lack of deep sleep, such patients may also notice heart palpitations, forgetfulness, and digestive dysfunctions such as indigestion and diarrhea. The gallbladder is the organ which is responsible for decision-making. Decisiveness and determination are said to emanate from the gallbladder. If the gallbladder qi is insufficient, the person may appear to lack courage, and become apprehensive and very indecisive. Suchpatients often find their mind meandering from thought to thought thatprevents them from falling asleep. As we age, the yin-qi in the kidneys where our body energy is stored depletes, and the blood in the liver decreases. The overall yin-qi in our body becomes insufficient. Much like a seesaw with one side lighter than the other, when the body’s yin-qi depletes, yang-qi becomes stronger, which can also cause sleep disorder. In this category are insomnia observed among the patient who reached their forties and women near and after menopause; sleeplessness that started for no apparent reasons; and ones that are found in people with naturally high body heat. As described so far, oriental medicine explains various sleep disorders as related to our internal organs — the liver, heart, spleen, gallbladder, and the kidneys. 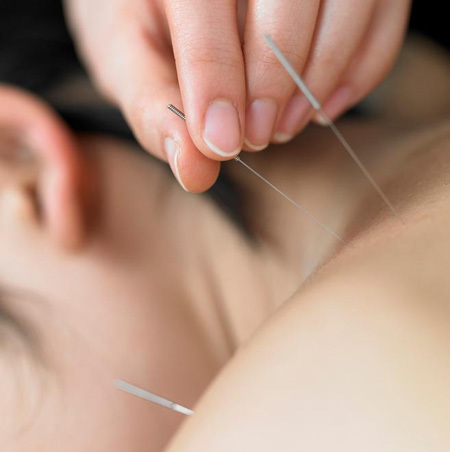 Depending on diagnosis of the cause, it can be treated with combinations of hanyak — oriental medicine — and acupuncture. Whilst treating the correctly identified cause is important, your daily habits may be what prevent you from getting a good night’s sleep. Such habits should be reformed first so that our body recovers its natural rhythm and maintain quality sleeps. Good habits including waking up at regular hours; using your bed only for sleeping in and not for watching TV or talking on the phone; getting out of bed when it is difficult to fall asleep; not making plans or worrying about the next day in the bed; avoiding naps during the day; and not going to bed before a pre-determined bed time. It is easy to take sedatives when you are suffering insomnia. While taking sedatives may get you to fall asleep, you may also develop a dependency. Known side effects include feeling exhausted during the day, loss of memory and a lack of concentration. For acute insomnia, sedatives may help, but if you are suffering from chronic insomnia that lasts over three months, I recommend oriental treatment along with reforming habits as described above. The writer practices Korean oriental medicine at the UN Oriental Medical Clinic in Hannam-dong, Seoul. He can be reached at sung_hun@naver. com.